Men and women classified as clinically obese have stripped naked on camera, for a series of raw interviews in which they speak candidly about their relationships with their bodies. Among those revealing themselves both physically and emotionally for a BBC Three documentary are a fitness instructor turned pageant queen whose weight gain was triggered by heartbreak, and a man who recalls being fat-shamed by his own siblings. 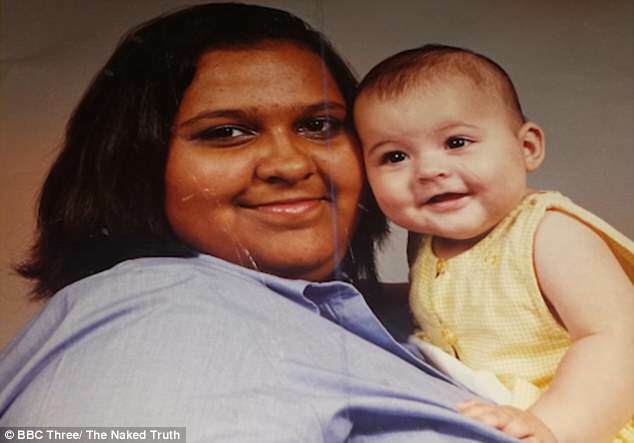 The Naked Truth: Obesity also features a woman who gained 7st during a bout of glandular fever, and a photographer who would binge-eat to cope with her loneliness as a shy student. The interviewees discuss their love for and pride in their bodies, but also tackle feelings of shame and anxiety - whether prompted by others' judgment or their own criticism of themselves. All five reveal how it feels to live as an obese person in an ever more image-conscious society - and the effect it has on their self esteem. All four discuss the reasons why they believe they have become obese after bravely stripping off for the BBC Three cameras. ‘Being a fitness instructor, you get new people into your class on a regular basis. You see these people walk in and look around to figure out who the instructor is and they look at you and they’re like “oh”. ‘Why has weight got to be a thing? Just because I am a big girl doesn’t mean I can’t be active and it doesn’t mean you have the right to judge me based on what I look like,' says Kat on the show. Kat fell pregnant at the age of 16, and when her boyfriend at the time walked out on her and his unborn child, she turned to food for comfort. 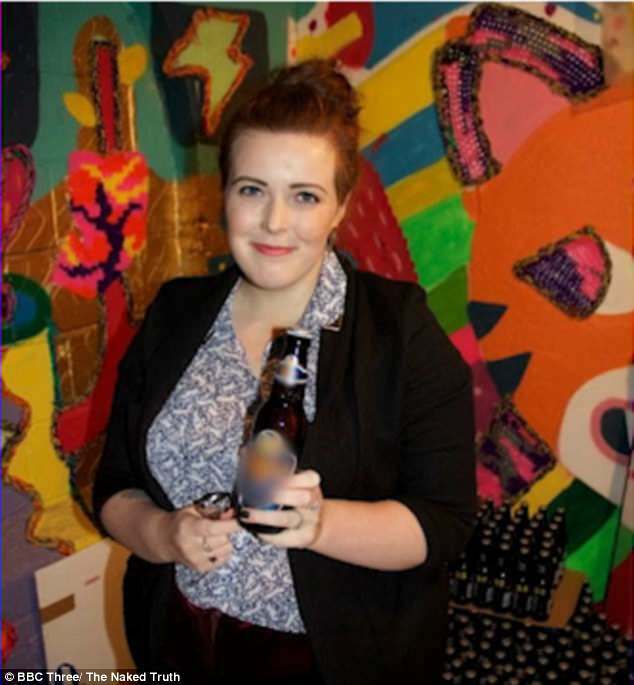 'I basically developed a really unnatural with food and started comfort eating. I went up from a size 12 to a size 28 and that was probably in about a month and a half,' she recalls. Kat, who admits she could eat a 24-pack of Cadbury Crème eggs in one day, said: 'It was dangerous because I was comfort eating because I was very, very low. She has spent years battling with her weight, going to slimming clubs and taking diet pills in a bid to shift the bulge, even experiencing a brush with an eating disorder. Kat says she's been on the receiving end of hurtful criticism from strangers: 'When I get on the train and I sit down next to somebody and there is ample space for two people to sit on a seat you often get [huffs]. Kat, who was crowned Miss British Beauty Curve in 2016, is now embracing her body. 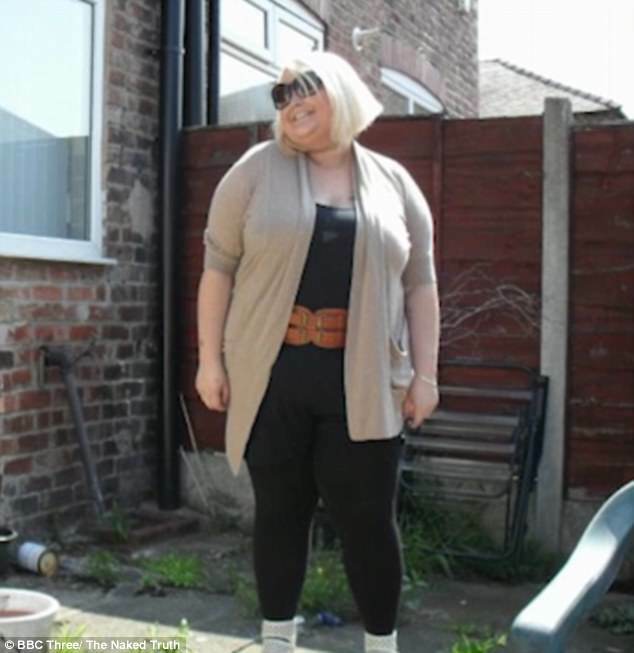 'I do think there are a lot of people who have negative opinions on body size, I don’t think that will ever change, but what can change is us trying to change people’s attitudes towards bodies,' she says. 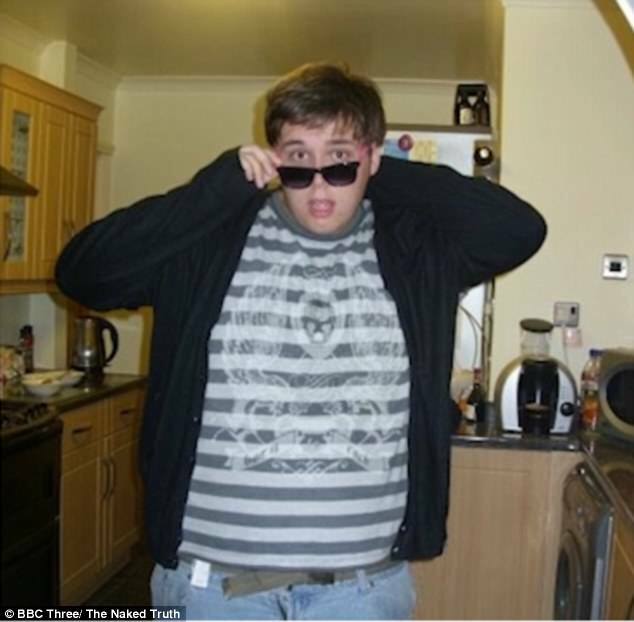 Corey admits he has 'always been on the large side', and said he was often made fun of by his slimmer siblings. 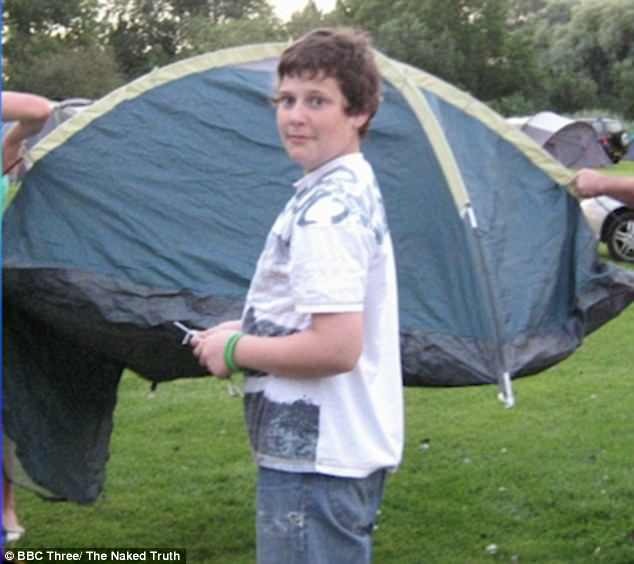 'They used to call me fatty fatty bum bum, and say "who ate all the pies?"' he said of his sister and two brothers. 'Me and my brother spoke about it [recently] and he said he used to say it as motivation. [He thought] that I would get so sick and tired of being called fatty bum bum that I would go and lose weight. Corey's says his go-to snacks are supersize portions of crisps, chocolate bars and cake. 'That is what makes me happy,' he says. 'It could just be a simple case of I’ve had a really bad day, and [so] to make myself better I will have some food. But Corey, who is a drag queen in his spare time, says his excessive eating does concern him, and he has been trying to limit his food intake to the contents of one lunch box. 'A yoghurt, a couple of sandwiches, a pack of crisps, a chocolate bar and a small cake,' he says. 'When people are obese, they are a problem,' says comedian Jed. Jed admits that he doesn't follow an especially healthy diet, and doesn't exercise. 'I wasn’t very sociable as a kid, I wasn’t very sociable in my teens and I’ve never really had a healthy diet,' he says on the show. ‘If I wasn’t fat, maybe I’d be a different person,' he says, adding that it has led him to his chosen career. 'Maybe I wouldn’t have developed a personality where I had to make people laugh to get them to like me - so maybe if I wasn’t fat I wouldn’t be a comedian. 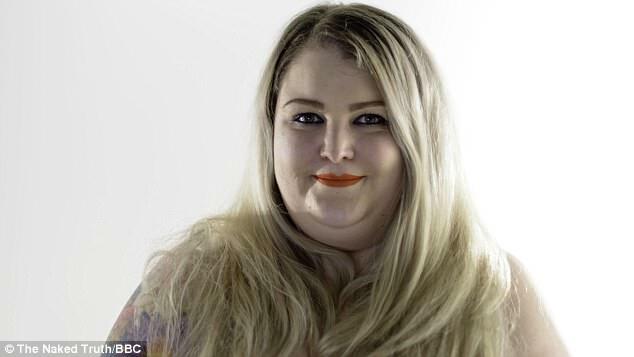 'I know I’m fat but I go to work every day, I pay my bills, I take my dog for a walk,' professional photographer Sophie says. Sophie, who is working on a personal project called Behind the Scars, describes a 'lot of misconceptions' about larger people. She attributes her weight gain to her shyness growing up, which saw her seek comfort in food. 'I think I was quite shy at college and socially a bit awkward. At that age I had more kind of walls up and I didn’t have as many friends,' she says. 'I would buy a lot of food and binge because I was quite lonely and on my own. Her attempts to diet have been unsuccessful so far. 'I think restricting yourself and denying yourself things makes you then feel worse about yourself and then that leads to bingeing and more overeating,' she says. 'From a doctor’s point of view I am classed as morbidly obese. But I don’t think there is anything morbid about me, I can run, I can go upstairs,' Jo says. At the age of 17 Jo was struck down with glandular fever, and gained seven stone during the eight months that she was ill.
'I know a lot of people lose weight with glandular fever but I used to just sit there and eat,' she recalls. 'I am under no illusions as to why I am fat, I am not going to come up with any sort of excuse. As a plus-size model, a beauty pageant contestant and the founder and creative director of a clothing brand specifically for plus-sizes 16 to 32, an upbeat Jo doesn't let stares or off-hand comments bother her.